One of my favorite cookbooks that I own is The Pioneer Woman Cooks Food From My Frontier, by Ree Drummond. If you haven’t heard of Ree Drummond, shame on you. She is a hilarious, fabulous cook, and is one of my role models when it comes to cooking, writing, family, and food photography. Have I peaked your interest in her yet? If I have, here is her wonderful blog http://thepioneerwoman.com/ . David and I have cooked almost everything in her cookbook and this recipe is one of our favorites! Her Tequila Lime Chicken is perfect if you are craving something with a Mexican flavor or if you are having a back yard BBQ with family and friends. We decided to make quesadillas with her chicken recipe, but it is also excellent served with a side of rice, beans, and tortillas. Slice and squeeze the juice of the limes into a blender or food processor. 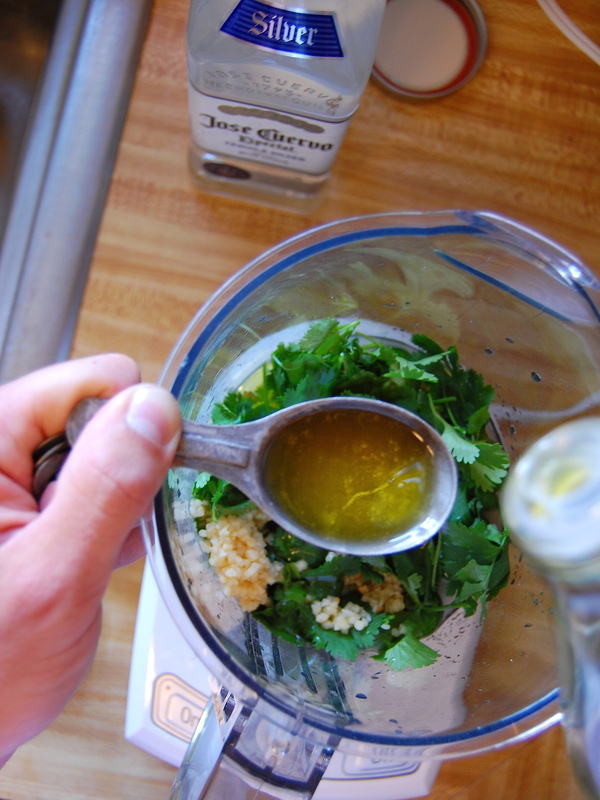 Add the jalapeño, cilantro, salt, tequila, and olive oil. Blend everything until the mixture is pureed. Then place the chicken into a bowl and add the marinade. Let the chicken marinate for at least an hour in the fridge. 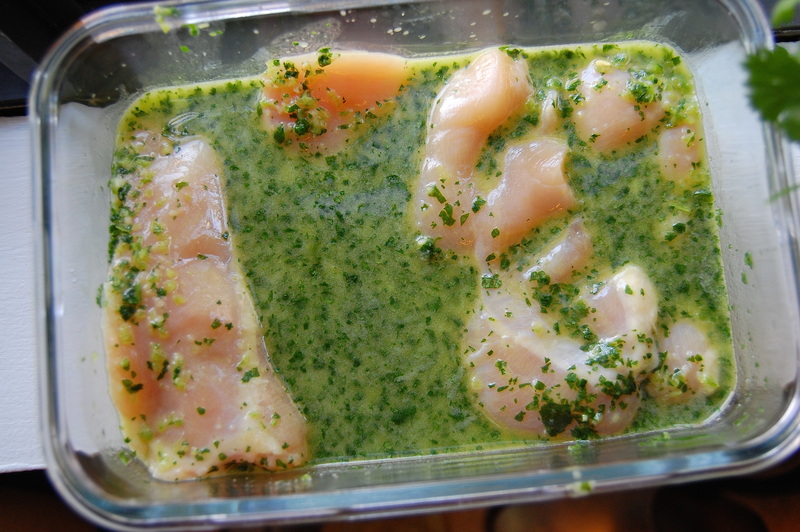 You can also do this the night before and have it marinate over night until you are ready to grill the chicken. 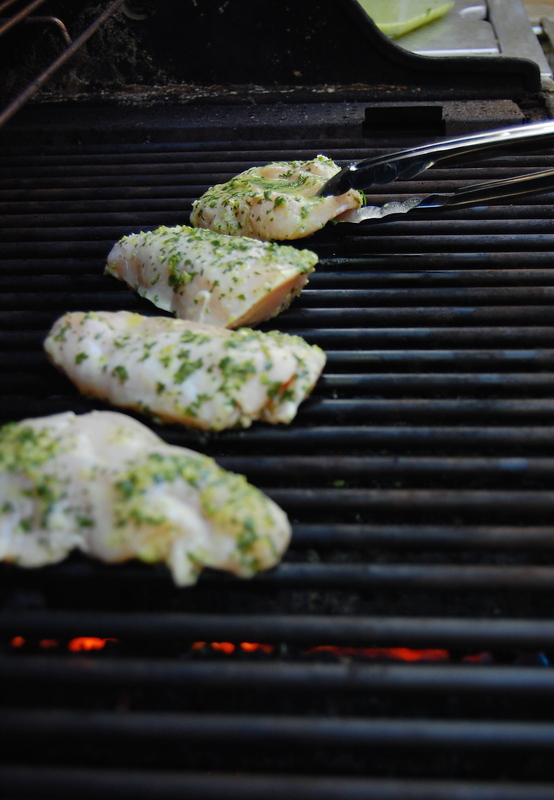 Heat your grill or BBQ on medium high heat for 10-15 minutes. 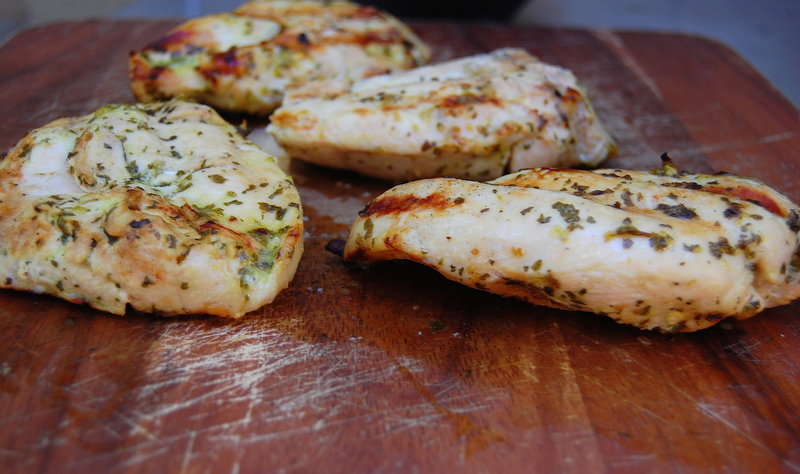 Add the chicken to the grill and cook the chicken for 5-6 minutes on each side until the chicken is thoroughly cooked. 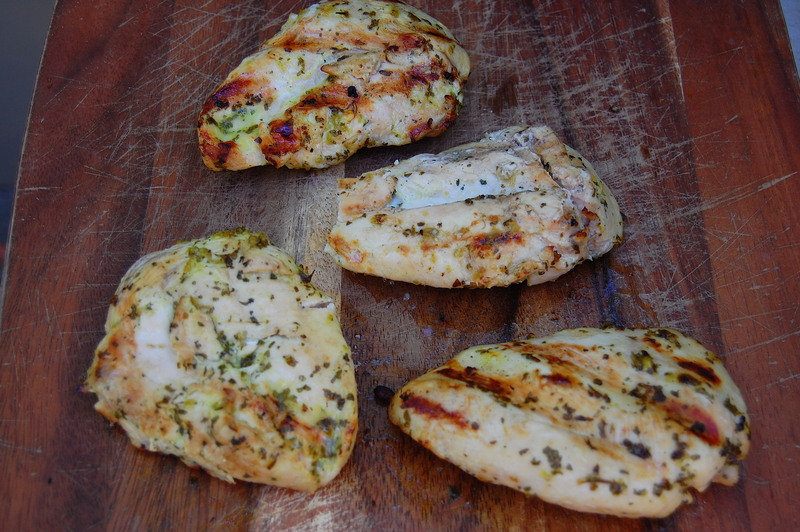 Slice the chicken and serve with your desired sides or you can make quesadillas with it like we did! 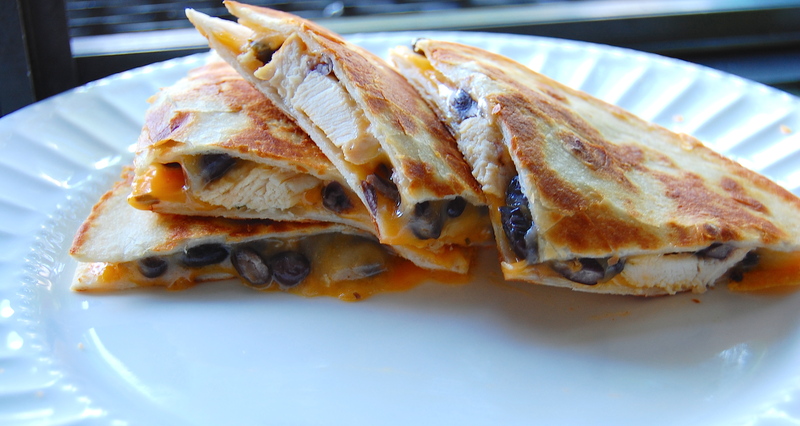 Click here to find the directions for our Tequila Lime Chicken Quesadillas. Tags: BBQ, chicken, cilantro, cooking, grilling, healthy eating, marinade, summer meal, tequila lime chicken. Bookmark the permalink.